Icaros is a story about fear and the release from fear – the fear of illness and of death, but also the fear of life and living. It’s about the possibility of living through one’s fear – which is what the Amazonian plant Ayahuasca is good at getting you to do. Centered on the nightly ceremonies that are the main feature of shamanic retreats, Icaros revels in darkness, replicating a shamanic journey. Icaros is a filmic tapestry about the meeting of cultures, a West in search of its lost soul and the indigenous Shipibo adapting their expansive practices and unique view of the universe. 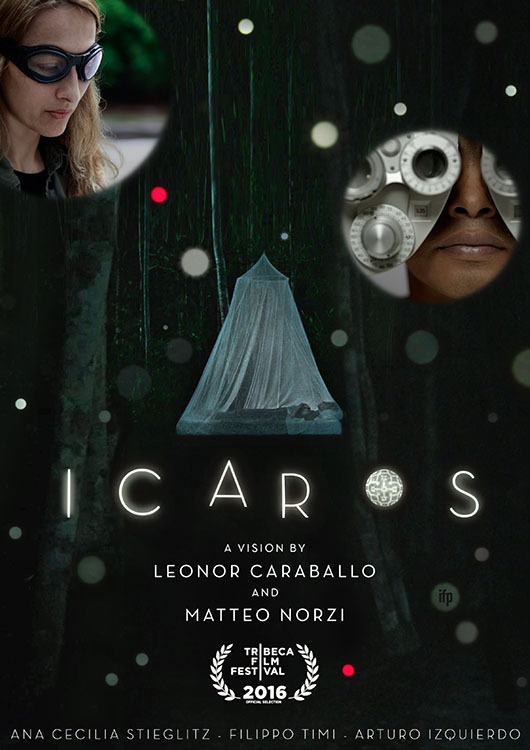 Icaros: A Vision premiered in competition at 2016 Tribeca Film Festival and has been going around the festival circuit in the US, Latin America and Europe. Variey defined it “a work of beguiling grace… And never less than transfixing.” The New Yorker film critic Richard Brody included it in his picks for the 5 best-undistributed films of 2016. The film has been indeed picked for theatrical release in May 2017.